From the moment I saw the FCDS facility and met the staff I knew it would be an amazing place to send my children for summer camp. The activities are widely varied with both indoor and outdoor experiences and really provide a wonderful balance for summer fun! Not only are the kids outside enjoying swim, sports and Friday Bbqs but they also experience cooking, games, music and art inside. There is great staff to parent communication, which allows parents of young children to feel extremely comfortable. Fcds camp is the place my children look forward to returning to each summer and spending time with both new and old friends! 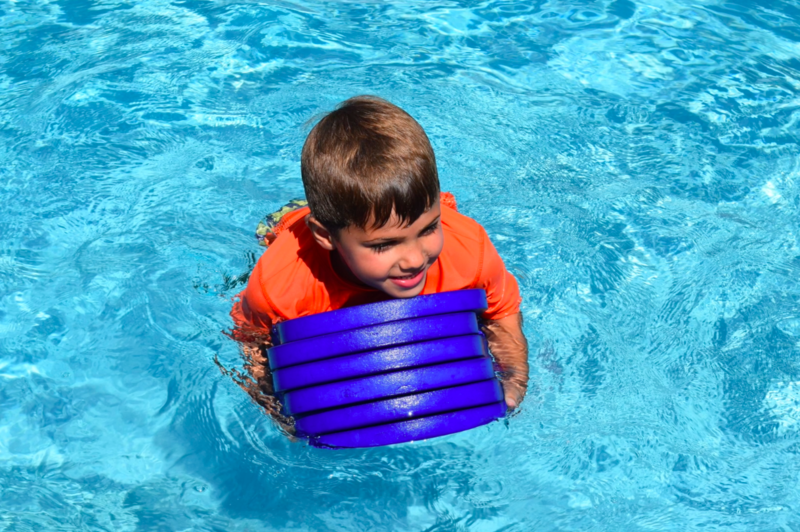 What makes the Summer Fun experience unique and why we continue to send both of our boys back year after year is the camper's ability to choose. Like many rambunctious little boys, our two boys frequently flip flop between wanting a day filled with sports or athletic based activity to a day filled with more creative experiences centered around arts and crafts, music or technology. Summer Fun allows campers to choose what they want to do as opposed to being bound to a rigid schedule or daily theme. This is my 7th year at FCDS Summer Fun and I know that it will not be my last. Every year, I look forward to returning not only because of the camp itself but because of the amazing friends that I have made and the wonderful counselors that I have met. When I am too old to be a camper, I hope to return as a counselor. My mother calls FCDS Summer Fun my happy place and she is right — it truly is my second home. Now in its 26th year, Summer@FCDS kicks off June 17! 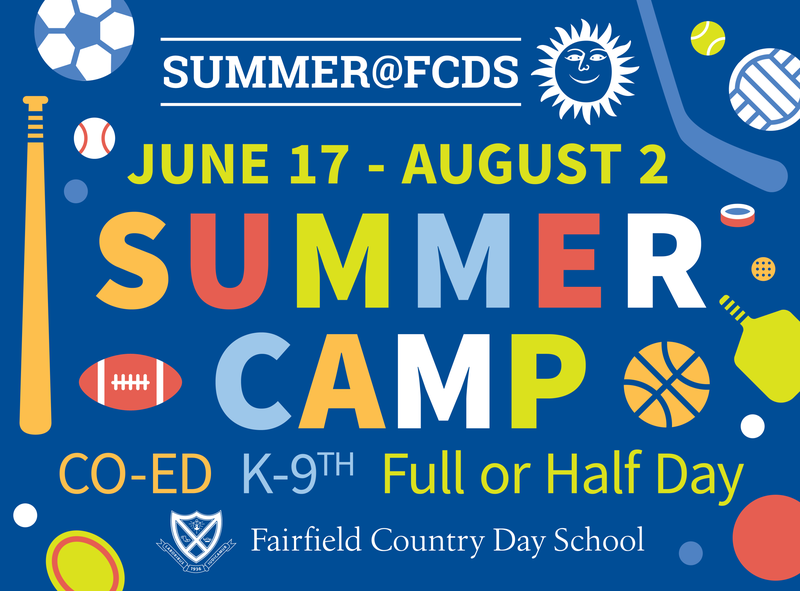 Summer@FCDS offers full and half-day co-ed camp programs for campers entering Kindergarten through 9th grade. Our 2019 season includes 7 week-long sessions from June 17-August 2. Our week-long sessions provide an atmosphere of learning and fun, with highly qualified, experienced educators (many of whom are full-time FCDS faculty) who are committed to providing a positive experience for every child. Camp is held on the 25-acre FCDS campus, where campers love cannonballing into our pool, letting their imaginations run wild during arts and crafts, playing games and honing new sports skills outdoors, and having a blast with new friends all summer long! On top of all the summer fun campers know and love from years past, we've added a long list of new elective enrichment courses for children entering grade 3 through grade 9 — everything from woodworking and technology to survival skills, yoga, and cooking classes. We're bringing our campers the best of summer every day! Our on-site pool means each group swims every morning and afternoon. It’s the best feeling of the summer! A staple of Summer@FCDS, campers and counselors enjoy a lunch of hotdogs and hamburgers while taking in a beautiful summer Friday. Our campus art rooms allow campers to be as creative as they can be – with paints, Gimp, Pearler Beads, drawing and so much more. Campers can spend a day or a whole week on a project they love! From Soccer and Dodgeball to Kickball and Capture the Flag, Summer@FCDS knows how to play! Summer Fun has two fully functional game rooms, with Table Tennis, Board Games, Air Hockey and much more! Hang out on our great Playground or head on over to the Sport Court for floor hockey, basketball and other great games. Campers can cool off from the heat and use our campus' state of the art technologies - they love making their own music videos! SUMMER EMPLOYMENT-Thank you for your interest in Summer@FCDS! At this time we are no longer accepting applications for summer employment.